Special Thanks to Nick and Maria Vaccaro for providing us with fresh cannoli and to the Italian Consul’s daughter and neice who are volunteering to help us prepare and serve these Vaccaro’s Italian Pastry treat on site at Maserati for the Sweetheart Social. 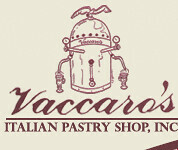 If you don’t already know about Vaccarro’s in Baltimore’s Little Italy, the pastry shop is LEGENDARY! Only a few tickets remain to the Valentines Day Sweetheart Social. Space for this event is limited due to so many great vendors and sponsors participating. Discount couples tickets ($40 a couple) have been extended on sale until 2/13/2009 or the last 20 couples sell out. Individual tickets are still available at $25 per person. All tickets include free wind tasting, free chocolate party (buffet sampling of the best chocolate truffles, barks, hand-dipped dried fruit, and fresh chocolate covered strawberries), dessert pastry samples, cappuccino or hot cocoa, rum cocktails, and cognac night cap. Additional thanks to writer Sarah Gilbert Fox of Baltimore Style Magazine for all the great write ups, the Baltimore Sun for helping us get the word about this special March of Dimes charity event out, and to Baltimore Examiner society columnist Anne Boone Simanski–Baltimore’s own new “Socially Speaking Anne”–for talking us up on radio station and sports talk program segments on WVIE-1370. Cheers, all… see you Saturday, Valentine! Click the Picture Above to Reserve Your Tickets Today... prepares to welcome the Italianizzato Club "Sweetheart Social". Whether you are traveling from near or far, St. Valentines Date Night in Baltimore County is sure to be spectacular for anyone who loves cars, the community, and is looking for an exciting fun filled date night for couples or singles to share. Looking for that special something to do for Valentines day this year with that special someone? 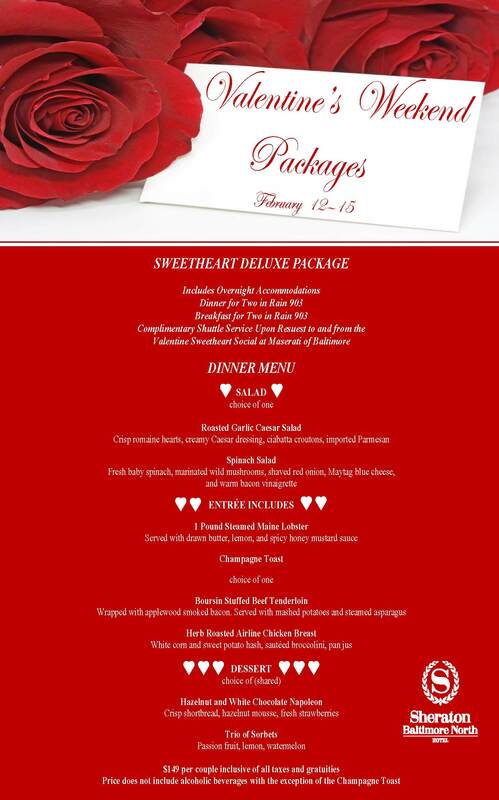 Enlarge the picture to the left of this passage and you will find a hotel package offer that includes the restaurant menu, and cost details for a special Valentine Champagne Toast, dinner, and Baltimore County discount room rate reservation offer. Designed to create the sweetest of social ambiance and create one of the most unique Things to Do during an overnight stay in the Mid-Atlantic region this 2009 year for Valentines day… the special includes a gourmet dinner for two, courtesy shuttle to and from the Sweetheart Social, and an overnight stay at the Sheraton Baltimore North Hotel. Cupid is granting requests to Maserati fans for Valentines Day this year (2009) thanks to Connections Prep. WHO’S ENTITLED: Available exclusively to Italianizzato Club guests Saturday February 14th, 2009, the special treats those guests and visiting volunteers attending the Sweetheart Social at Maserati of Baltimore. WHAT’S WHAT (At the Sheraton Baltimore North): The hotel facility offers a special room, rate, and restaurant menu, giving party guests the opportunity to relax and take a night to unwind. THE PLACE: The Sheraton Baltimore North is located at 903 Dulaney Valley Roads in nearby local shopping and dining hot spot Towson, Maryland (21204, telephone 410-321-7400), conveniently located near Maserati of Baltimore (1630 York Road, Lutherville Timonium, MD 21093, telephone 410-321-8071). If you are a couple looking for something different to do for Valentines day this year or you are a single looking for a fun destination where you can mix, mingle, and network with friends,think about joining the Italianizzato Club for a special night of Exotic Car Romance. Play in Traffic with a designated driver this Valentines night–compliments of the Sheraton Baltimore North and the friends of Maserati of Baltimore. Help us continue to help the March of Dimes Foundation continue it’s work helping families and children in the Maryland region and around the world. A portion of the evenings proceeds or auction packages are being donated to the Signature Chefs Auction by each participating vendor and sponsor. Tell your friends; we’ll have plenty of chocolate and goodies to share. Italianizzato Club events are private functions sponsored and hosted by Connections Prep. For more information about upcoming dates reserved for Italian products showcases in the Baltimore Washington DC Metro region, please visit http://www.italianizzato.com. To learn more about the event venue Maserati of Baltimore please click HERE (includes GPS address and MapQuest directions). PLEASE FEEL FREE TO SHARE NEWS OF THIS EVENT AND VALENTINE SPECIAL PROMOTION ON FACEBOOK AND OTHER SOCIAL MEDIA SITES. If you have received this email, it is because you are on our Italianizzato club private mailing list directed privately to personal friends and family. We are hopeful that you will pass this invitation along to friends and associates who enjoy sampling tasty sweets, like luxury products, and love exotic cars–especially those interested in learning more about the brand Maserati. The Italianizzato Club “Sweetheart Social” is a charity benefit helping community friends at the March of Dimes recruit new volunteers and auction item donors for the upcoming “Signature Chefs Auction: Baltimore” happening in the Fall of 2009. The Italianizzato Club, Connections Prep Event Management Services, and the March of Dimes Foundation are not affiliated with Maserati of Baltimore. 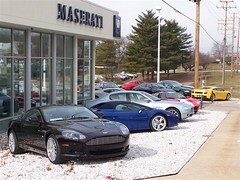 Maserati of Baltimore is located at 1630 York Road in Lutherville Timonium, Maryland by GPS. The Sheraton Baltimore North is located just off Towson Circle in Towson, Maryland. The hotel boasts a Skywalk to Towson Town Center and Indoor Pool Facility, creating a relaxed atmosphere for recreation or business accomodations. Advanced ticket purchase and RSVP conformation is required for this event and space is LIMITED to the first 125 prepaid and reserved guests (no door sales, as catering will be set to number for proper portioning). What’s in store for guests on this special creative date event night? First, the obvious: an opportunity to browse and mingle in the Maserati of Baltimore showroom. Offering the most dazzling previews of exotic and high performance luxury vehicles on display in the Maryland area, visitors are sure to fall in love with the cars at first sight. All while enjoying an up close and personal introduction to the world of celebrity daydreams and opulent luxury. Showcasing new Maseratis and previously enjoyed Lamborghini and Maserati models, the dealership also offers a “priced to take home” selection of collectors race fan boutique merchandise. Offering Mid-Atlantic regional guests and visitors a wide assortment of choices to shop for, whether for a new ride to drive or your favorite brand marquee sportswear or memorabilia item to take home and display with pride, everyone is guaranteed to “fall in love” with something this car store has this Valentines. With admission prices for this wine and chocolate affair set at at the cozy price of $40 per couple with early ticket purchase*, it’s the perfect destination hot spot for date night guests to share dessert after dinner in Baltimore County or to toast with a cocktail before heading out on the town in Baltimore City’s Inner Harbor or Little Italy for the night. Followed up with an opportunity to create a second date with a follow up chauffeured Maserati drive, the event is sure to win hearts of all involved this special event at M.O.B. night. Solo singles are also welcome to enjoy the opportunity to join for the single ticket early RSVP discount purchase price just $25* (recommended for friends or parties of one to gain admission inside). Keep checking back here for more surprise announcements as time draws closer to the night. Tickets for this event will go quickly, as it has already been recommended by Sarah Gilbert Fox of Baltimore Style magazine, so buy now while still available–so share this event news with all your friends. February 10th, 2009 is the ticket purchase closing date for early ticket purchase discounts [or SOLD OUT (whichever comes first)]. Tickets purchased in the 72 hours proceeding the event subject to an additional per person “Last Call” admission reservation surcharge to benefit the March of Dimes Foundation. NO DOOR SALES. Pre-paid ticket reservations only. Email connectionsprep@gmail.com with any special guest, vendor, or sponsor and volunteer or staffing arrangement requests. *Ticket prices will increase on February 11, 12, 13 with a portion of the “Last Call” ticket revenue proceeds being donated to the March of Dimes. No Door Sales on day of event. Front line of Maserati of Baltimore looking a little different for 2008? Maserati of Baltimore is happy to announce they are under NEW MANAGEMENT and debuting some of the special collection of their new branch division “M.O.B. Exotic Car Gallery” with Car Guy JACK DAVIS. Driving York Road has become a pleasurable adventure again. PLAY IN TRAFFIC.